Because these benefits are felt by the community at all levels – local, national and international – government policy plays an important role in ensuring these are realised. Arguments are often presented that government policy should focus on ‘outcomes’ and remain ‘fuel neutral’ and that it should thus be left to market forces to decide which fuels establish a strong market presence. It is agreed that policy should in fact focus on outcomes, but because markets tend to take a more short term view, preferential treatment is often justified for a particular fuel to ensure longer term benefits are realised. Despite our focus on natural gas as a transport fuel, NGV Global supports policy which includes a range of alternative fuels as the best means of ensuring long-term energy security, diversity and supply. These fuels will vary according to local conditions and vehicle needs, but few fuels offer the same range of applications and geographical distribution of supply as natural gas does. Natural gas is also available either from existing reserves, including coal seam gas, shale gas and potentially – methane hydrates, or via renewable sources such as waste or agricultural matter. For these reasons, natural gas should form a major component of any overall transport fuel mix. One key lesson that has been learnt in relation to policy is that it must apply to the use of alternative fuels, and not just the purchase of alternative fuelled vehicles (AFVs). Because AFVs can often also be fuelled with gasoline or diesel, AFV benefits have occasionally be used to purchase vehicles, returning a cost benefit to the owner, but the owners have continued to fuel the vehicle with gasoline or diesel, meaning the intended benefits of the program have not been realised. The most well know example of this was in the US State of Arizona, where generous rebates meant buyers could purchase or convert a vehicle and receive rebates in the thousands of dollars, but weren’t actually compelled to use an alternative fuel. Ultimately, the most effective policies are those which a) provide a direct financial benefit to the end users, but still ensure widespread use of the alternative fuel, and b) provide long-term certainty for vehicle owners, vehicle and engine manufacturers and investors in infrastructure and associated equipment. NGV Global and its affiliated associations welcome enquiries from all levels of government in relation to policy formation. Please contact our Secretariat if you have any questions or require further assistance. Examples of possible policies that could be implemented are shown below. Mandates, though not widely used to date, are an effective measure, provided they are monitored correctly by authorities. Mandates can apply to vehicle owners, such as a mandate to use a particular percentage of a fleet on natural gas, or they can apply to energy suppliers, such as a mandate to provide alternative fuel dispensers on a service station forecourt. Probably the most widely known example of a mandate in the NGV industry is the public bus system Delhi, India, which is required to use compressed natural gas (CNG). This has resulted in more than 10,000 CNG buses on Delhi’s roads and has been credited with making significant improvements to Delhi’s air quality. The mandates in force in India are unusual, in the sense that they have been imposed by the Supreme Court of India, rather than as a result of Government policy. The Supreme Court decision arose from civil suits brought in relation to the right of citizens to breathe clean air. Another successful mandate is operational in Southern California, USA, where the South Coast Air Quality Management District (SCAQMD) Clean Fleet Rules, require certain fleet operators to use natural gas vehicles. An example of a mandate which has not been totally effective, is the US Federal Energy Policy Act (EPACT 1992), which requires certain fleets to purchase a percentage of light-duty AFVs. This was partly designed to stimulate demand and encourage manufacturers to provide more AFVs. One of the provisions was for 75% of Federal light duty fleets purchased to be be alternatively fuelled. A number of US agencies have not met this requirement and have been the subject of court action by environmental groups to have the rules enforced. National and State Governments exercise control over energy supplies through tax and fuel excise schemes. These provide an opportunity for government to favor natural gas as a transport fuel, either through reduced rates or by increasing rates for status quo fuels such as gasoline or diesel. These provide a direct fuel cost benefit to end users, which can be used to offset any extra costs associated with NGVs or to offset any perceived ‘risk’ of adopting a fuel which may have relatively limited availability. The lower taxes and excises can be applied either as a benefit to the energy supplier or retailer, who then passes the benefit on to end users through lower fuel costs, or by providing rebates to end users, to be applied for after the fuel has been used. Though natural gas vehicle technology is ‘mature’ it takes considerable expense for vehicle and engine manufacturers or conversion equipment providers to provide natural gas vehicles or aftermarket conversion kits. Where there is no guaranteed market for the technology, this increases risk to manufacturers who have to offset this risk, either through higher prices or by staying out of the natural gas vehicle market altogether. Technology support can be provided either through direct grants or tax concessions for product development, emissions testing or compliance and homologation costs. This lowers costs and risks for the manufacturer and, ultimately, the consumer. Similarly, domestic tax concessions will help promote NGV take-up. 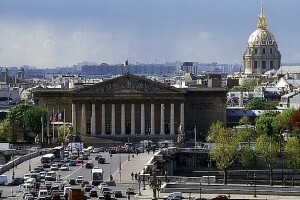 France’s government, for example, opted to continue promotion of the NGV sector in mid-2011 by exempting domestic consumption tax on natural gas. For countries that rely on imported technology and equipment, technology support can still be provided to offset costs of bringing technology to local markets. This is particularly important for smaller markets where the return on investment for an importer may be lower. Technology support can also be provided by amending existing rules for used vehicles, rules that would otherwise limit applications for OEMs and vehicle converters. In April 2012, for example, the United States Environmental Protection Agency (EPA)’s Office of Air and Radiation issued a letter to manufacturers providing revised EPA assigned deterioration factors (ADFs) for determining compliance with certain chassis-based exhaust and evaporative emission standards. Early 2011, the EPA amended regulations that make it easier to convert cars and trucks to run on natural gas. These and other measures have provided benefit for the country’s NGV industry. Countries which rely on imported equipment for natural gas vehicle can provide support by reducing or eliminating import tariffs on equipment and components. These could be applied not just to vehicle and engine components, but also to refuelling equipment, fuel cylinders, etc. By providing grants or rebates to purchasers of natural gas vehicles or conversion systems, governments can offset the additional costs incurred by the vehicle owner. As outlined above, such schemes should be aligned with schemes that also encourage use of natural gas once the vehicle has been purchased or converted. Because government fleets comprise a large proportion of vehicle purchases, committing to use alternative fuels can have a significant influence on making natural gas vehicles available in the market place. As well as making purchases directly, additional influence can be applied by requiring government contractors to provide services using natural gas vehicles as well. The Dominican Republic has joined the growing number of countries choosing natural gas for transportation in the face of growing uncertainty about oil-based fuel product price and supply. The government is undertaking a gradual conversion of its 20,000 public transport vehicles to compressed natural gas (CNG) and expanding its refuelling infrastructure.